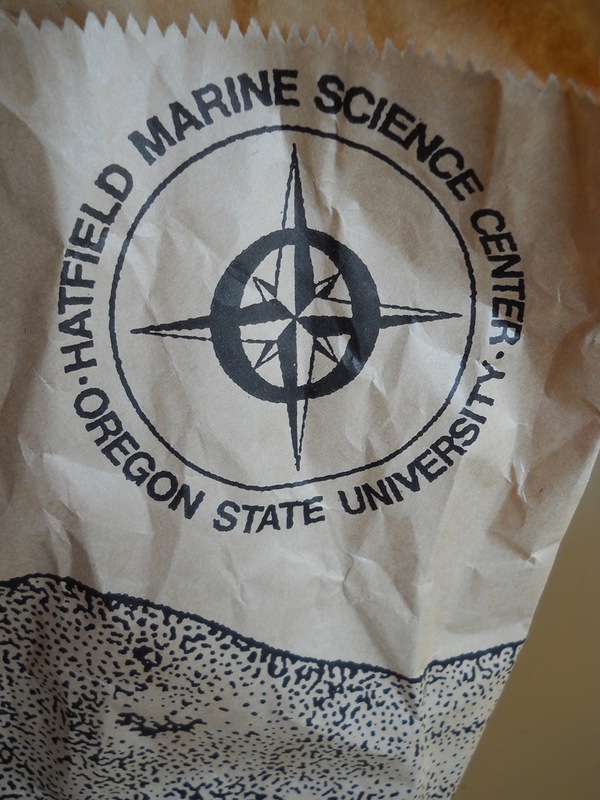 I headed over to the Hatfield Marine Science Center on Saturday excited to browse the selection of Marine Science resources to be found in their bookstore. However, as I read the K-6 materials – I didn’t see any “new” information that would really help the boys. We have collected quite a few beach / marine / science resources this past year, and who am I kidding, these past 8 years – that I couldn’t justify another 30 dollar book. My goal this year is to move over into Notebooking from Lapbooking. I have been thinking it would be fun to really go through the 365 Science Experiments Book – which they had at Hatfield – now that the boys are really able to read. Previous to last year, I would pick the experiment, gather the supplies, do it myself, and then point and say – see? See what happened? Ya. Pointless. I also got to clean it all up. I think it would be fun, like cooking, for them to go through it together, gather the supplies, keep a notebook of what they learn, patterns, results, etc. Right now, they are really excited about Astronomy. Do you know how many times I’ve tried to get them excited about “seeing” and learning the constellations? Now – is it! We downloaded a star app (SkyView Free) on the iPods and have spent these wonderfully warm summer nights finding the constellations. The boys are Really Excited! So – we didn’t leave with a full blown curriculum, but I firmed up my ideas and plans for the year. 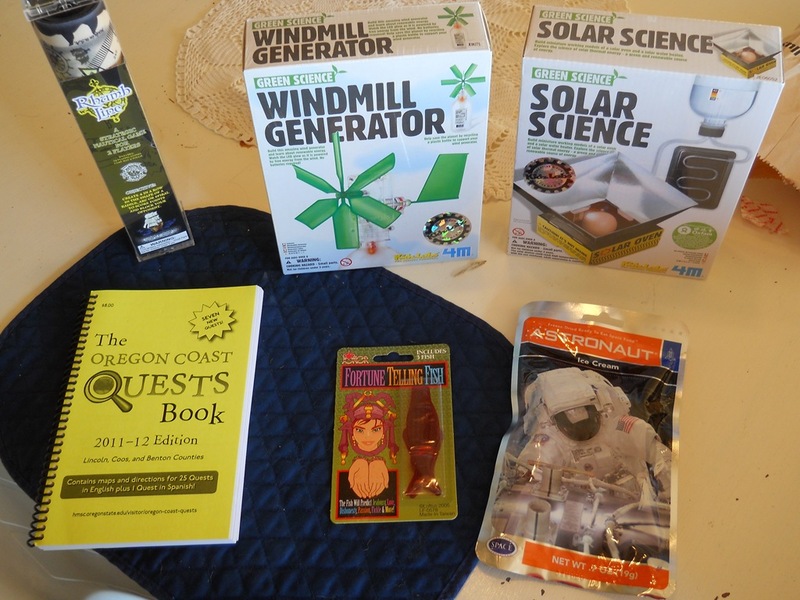 We bought some Astronaut Ice Cream – no one liked it – a New Oregon Coast Quest Book, a Windmill Generator Kit and a Solar Science Kit. The Fortune Telling Fish is to help me decide what to do – just kidding! They are just fun for the boys – and a game called Rhamb Line – that is a 4 in a row type game, played on a compass – I’m sure I ‘ll blog about it! I think we have at least a week left to be able to work on the Solar Science Kit before the sun goes buh-bye for the winter, but we should be set on the Windmill Generator for quite some time! ha! What are y’all thinking for Science this year? This entry was posted in Some Schooling and tagged Boys, HomeSchool, Middle School, MOB, Science. Bookmark the permalink.